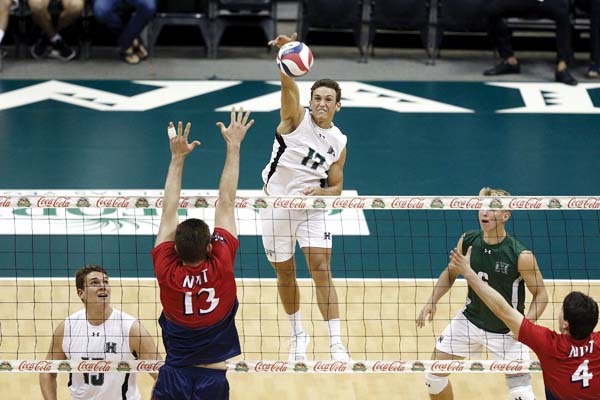 It has taken longer than perhaps anyone thought it would, but Colton Cowell has reached prime time for the University of Hawaii men’s volleyball team. Cowell, a fourth-year junior outside hitter out of King Kekaulike High School, had just one career college start before beginning this season as a regular starter. At 6-foot-1, he looms as one of the most unlikely standout outside hitters in the world of giants who own center stage in big-time men’s college volleyball. The second-ranked Rainbow Warriors are off to a 3-0 start, and Cowell is red-hot out of the gate. He is one of three starters to play in all nine sets, his 25 kills are third on the team, he is hitting .457, his eight digs and seven blocks are each tied for fourth on the team and he is receiving serve at a remarkable .897 clip on 39 attempts, both second on the team behind libero Gage Worsley. He entered the season with 22 career kills and 12 career digs, having redshirted the 2017 season after a freshman year in which he appeared in just nine matches. Now, he touches the highest level on the team at 11-foot-6 and has added more than 30 pounds of muscle since leaving King Kekaulike as a two-time Maui Interscholastic League Player of the Year. He arrived in Manoa at 148 pounds and is now north of 180. He didn’t let any athletic setbacks stop him in the classroom — he finished requirements for his economic major a semester early and is now working on minors in business and peace and conflict resolution. He hopes to pursue a career in renewable energy after a likely professional and/or national team career. He was a standout at USA team workouts in December and is a strong candidate for the under-23 national team as soon as this summer. He hit .800 (12 kills in 15 swings) to go along with three digs and two blocks in the first match of the season, a sweep of New Jersey Institute of Technology. Worsley, a senior, said a lot of opponents see the 6-1 Cowell in warmups and figure he is a libero or defensive specialist, not the all-around force he has become. “I get a lot of questions about that,” Worsley said of how big a weapon Cowell is now. “I think the main thing when he’s on the floor is his ability to receive serve and still be the type of attacker he is. He receives at the highest level possible. There’s not many outside hitters in the country that can receive serve as well as he does. Coach Charlie Wade knew this type of breakthrough was possible when he first laid eyes on Cowell at King Kekaulike. “From the beginning, he was very confident,” Wade said, “In one of our first meetings, he said the level he wanted to play at and, obviously, I’m all for it. He was including himself in conversations with people that were up for player of the year. 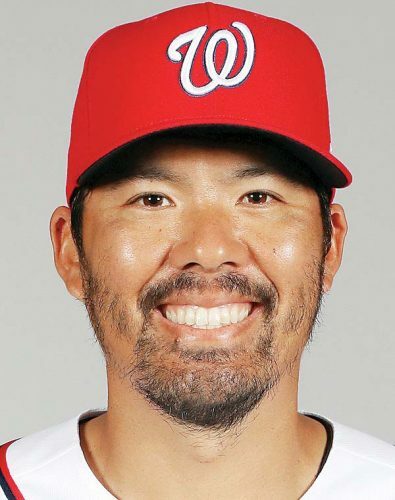 So, from that standpoint, I knew that he was really confident and really driven, but a lot of 17- and 18-year-olds are and not that many put the time and effort into it that he has. Cowell is Exhibit A of what it takes to excel in Wade’s program. The Rainbow Warriors don’t get back on the court until Feb. 1 and 3 against No. 8 Stanford.